Have you been thinking of taking weekly singing lessons? It’s good for your whole body! Singing has been proven to fight depression, and even assists with certain ailments like high blood pressure and asthma, we know music has a powerful effect on the brain, and can enhance memory, motor coordination and communication. 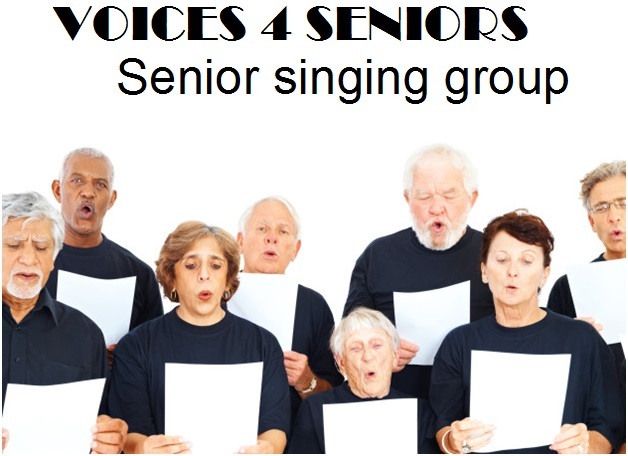 Many older people may find themselves bored and a little lonely, singing for seniors helps build unity, friendship, self-esteem and improves confidence. Sharing songs inspires happy memories and creates friendships, so after living such a busy life why not learn to sing in your retirement, and help enrich your life. A relaxing and friendly environment, with no pressure, students are initially taught the fundamentals of breathing, projection and pronunciation whilst singing dynamically, and expressively together. “Singing has physical benefits, it increases oxygenation in the bloodstream, exercising major muscle groups in the upper body, and singing reduces stress through the endocrine system linked to our sense of emotional well-being. When adults sing, they’re not only having fun!, they’re getting a physical workout and reducing stress too! Says Professor Graham Welch of the University of London, who has studied developmental and medical aspects of singing for 30 years.